Here we are with the picks of the week from our blooming group on Flickr! Today it’s dedicated to the dolls. Aren’t the handmade ones the cutest and sweetest? Pssst! Know that everyone can submit his handmade works on the group. I select the best ones each week to publish them straight here to the blog. In the meantime… have a great and inspiring week end! Eccoci qui con i ‘picks’ della settimana dal nostro blooming group su Flickr! Oggi è dedicato alle ‘bambole‘. Trovo che quelle handmade abbiano una marcia in più, sono dolcissime! Pssst! Lo sai che chiunque può pubblicare i propri lavori handmade nel gruppo? Seleziono i più carini ed originali ogni settimana e finiscono dritti qui nel blog. Nel frattempo… auguro a tutti un week end pieno di ispirazione creativa! 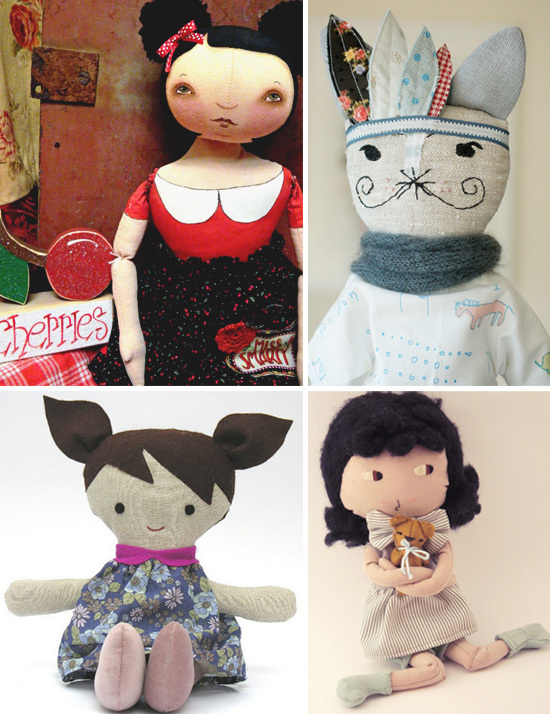 Here you can find beautiful hand-made vintage dolls. These are adorable! 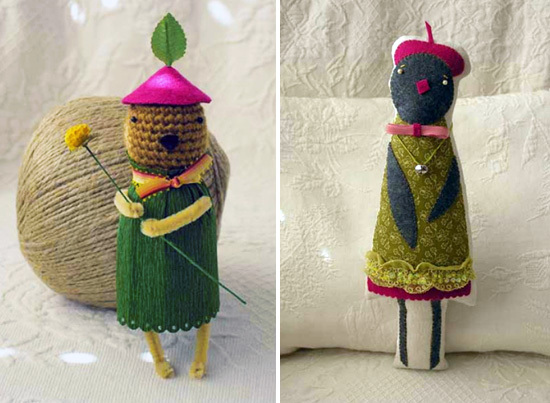 I especially like the birdy with the red beret : ) Thanks for sharing these great finds! It’s so sweet your doll :) Thanks for being with us on IB! ma che meravigliosità O_O le prime due sono stupende! !